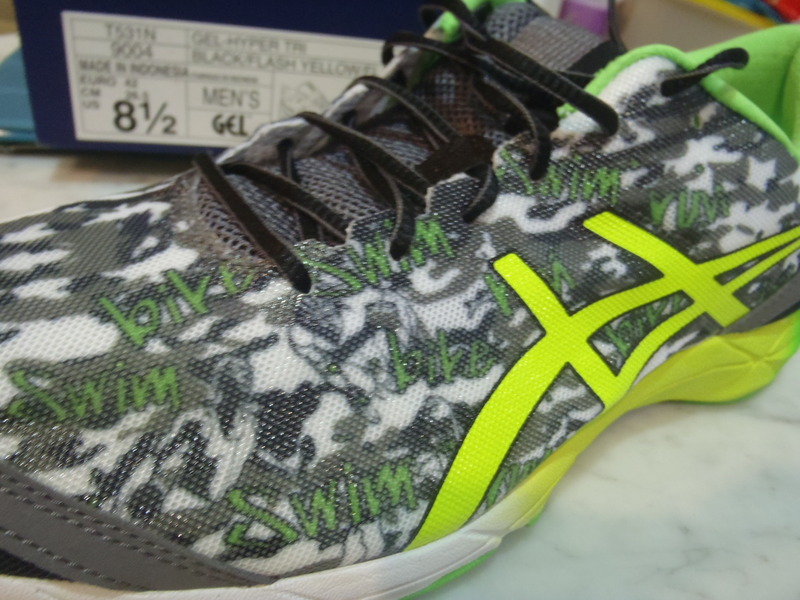 This weekend, be sure to swing by Ngee Ann City Civic Plaza (Takashimaya) to check out the Swim Bike Run Expo, we’ll be there! 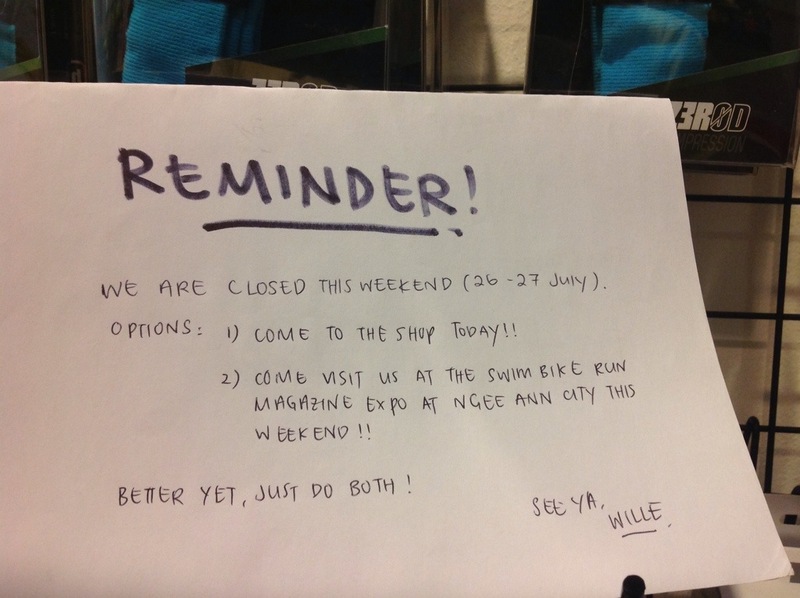 This is Singapore’s only Triathlon focused expo so if you’re into multi-sport, you will not want to miss out! 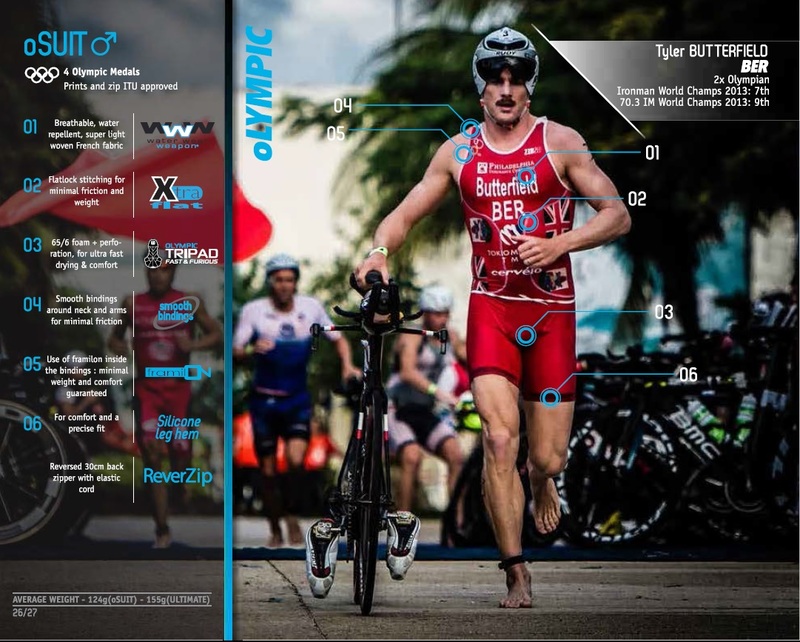 We’ll have a bunch of stuff at our booth – bikes for you to ogle at and order, wheels, sports nutrition to pick up, bike accessories, awesome new Z3R0D triathlon apparel and compression, OBRE full sock compression and running gear. I’ve definitely missed some stuff out so come see for yourself! 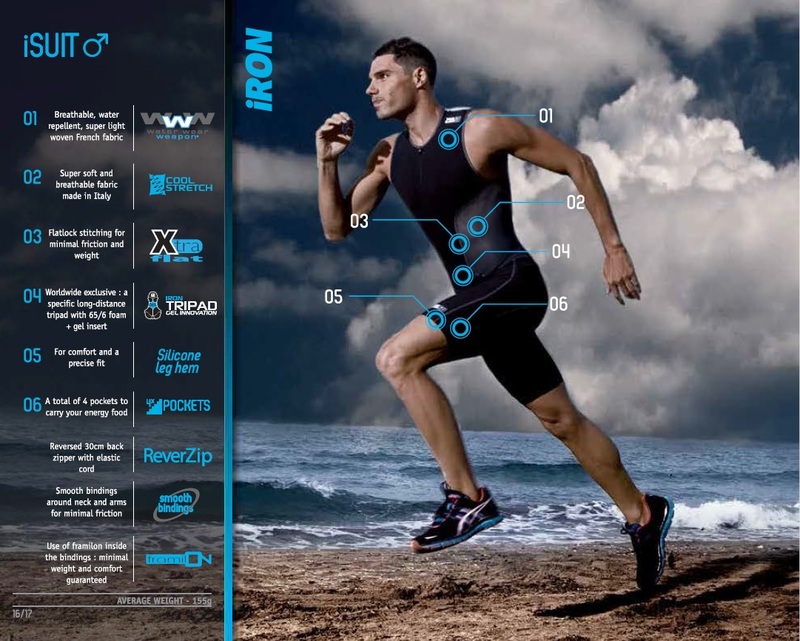 We’ll be at the Swim Bike Run Expo 2014 this weekend, 26 – 27 July, from 11am – 9pm. Visit us and please bring food! The Expo is is located at the open air Civic Plaza, just outside Takashimaya. We’ll have helmets, nutrition, compression, triathlon apparel, foam rollers, wheels, bikes and maybe even a few humorous jokes thrown in! TRG will be closed this Saturday and Sunday (26 – 27 July). See you at the Expo instead! Our transition towards being the most awesome triathlon store in the land continues with an expansion of our bike offerings! 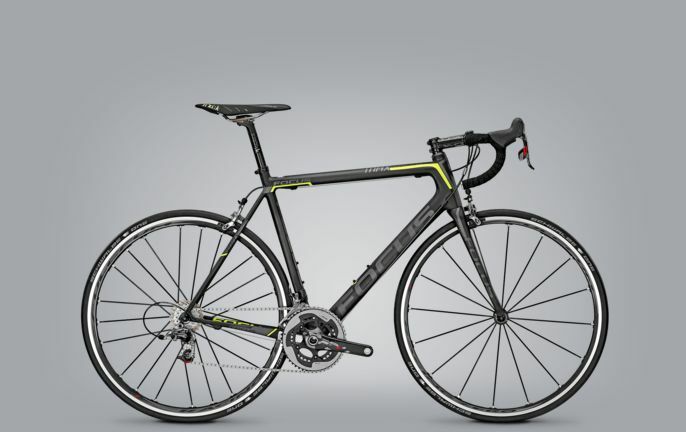 We’re very pleased to be carrying Focus Bikes! 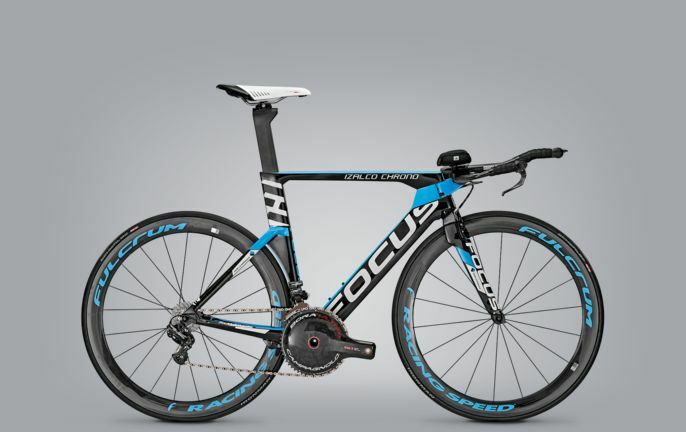 Focus is a German company and their bikes can be seen in the Tour de France this month, ridden by the AG2R Pro Cycling team. 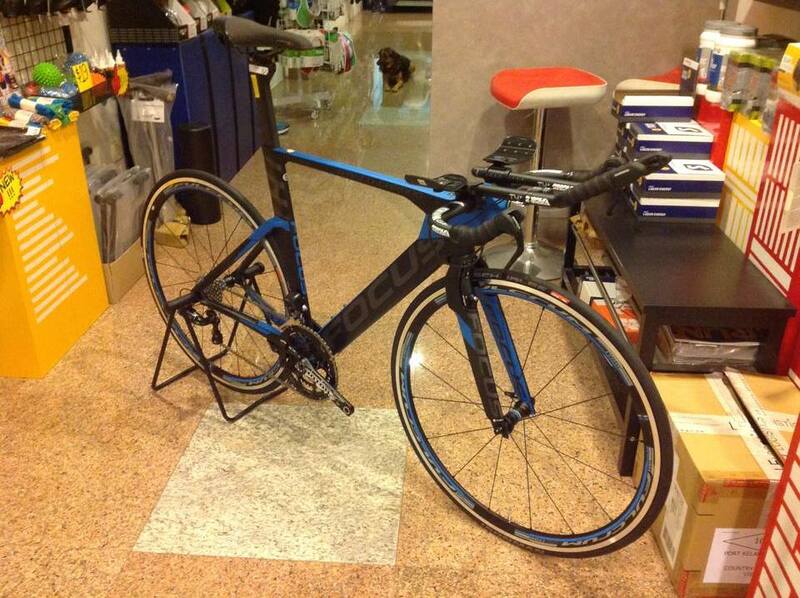 Together with Andreas Walser, Focus has also just developed their new time trial/triathlon rig – the Izalco Chrono Max. The Focus bikes will be in store very soon! We’re very excited to carry a new brand this month – Z3R0D! Our initial offering covers the iSuit, iSinglet, iShorts, oSuit and uSuit, with colour options increasing in the months to come. These are exciting times! 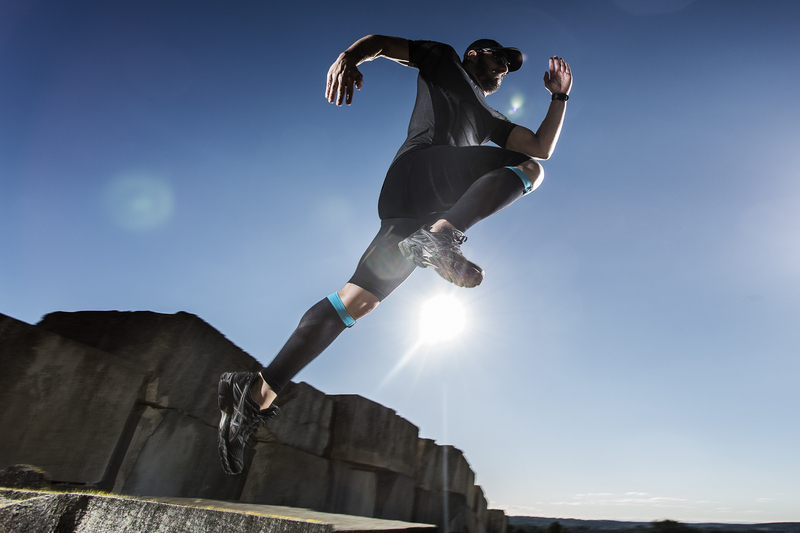 Zerod has recently partnered with Sigvaris, the world wide leader in medical compression, to develop their own line compression calf guards – Mercury. Mercury is manufactured 100% in France and uses the latest technological breakthrough in textiles, Emana! More to come! In the mean time, drop by the store to check out the products for yourself. Fizik’s latest offering is aimed at triathletes and time trialists looking to achieve a more forward position on their bikes. 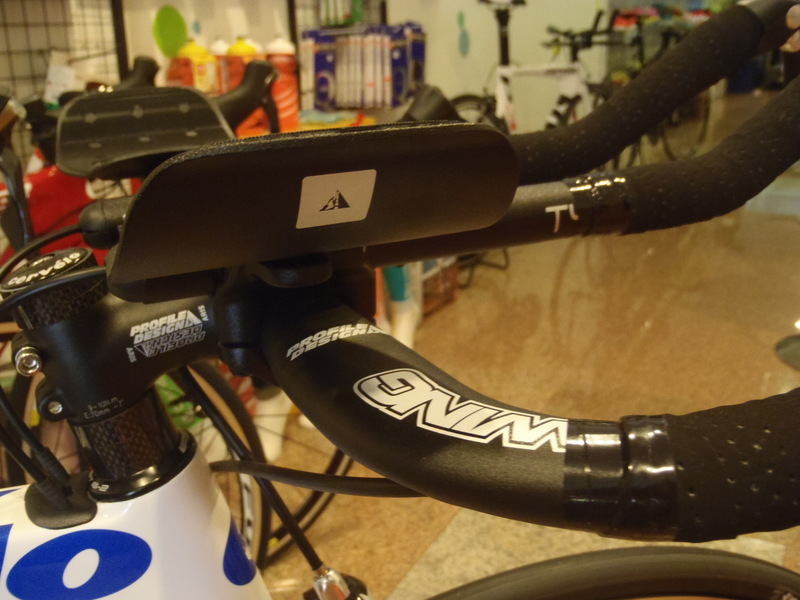 This is the first nose-less saddle by Fizik and it’s truncated shape widens sooner (compared to conventional saddles), while maintaining it’s UCI-legal tag. 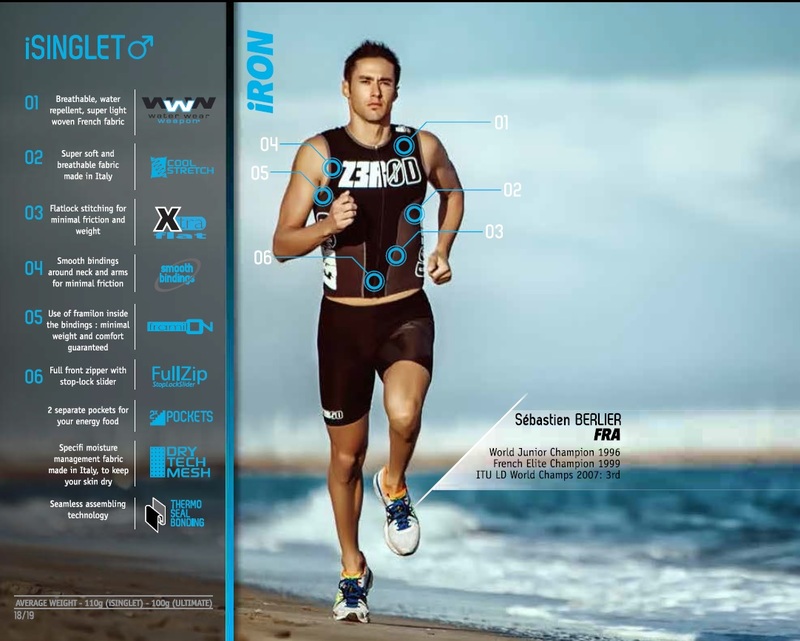 The Tritone comes with some handle triathlon-specific features. 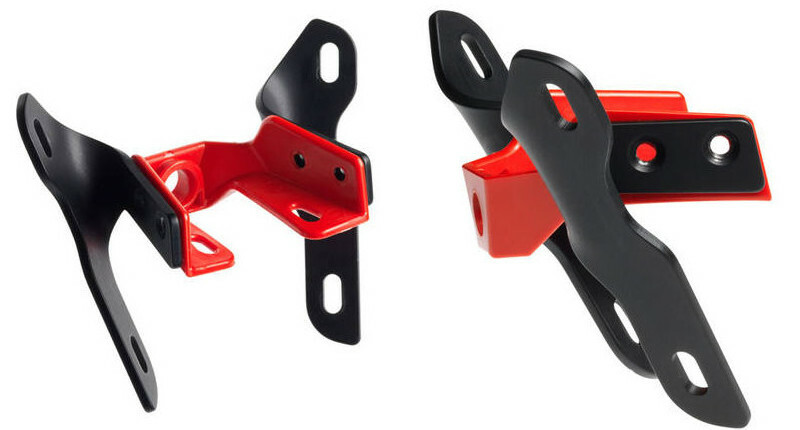 Under the nose, it has a built in transition hook to hang your bike by. The other neat features is the modular carriage kit that is supplied with the saddle. 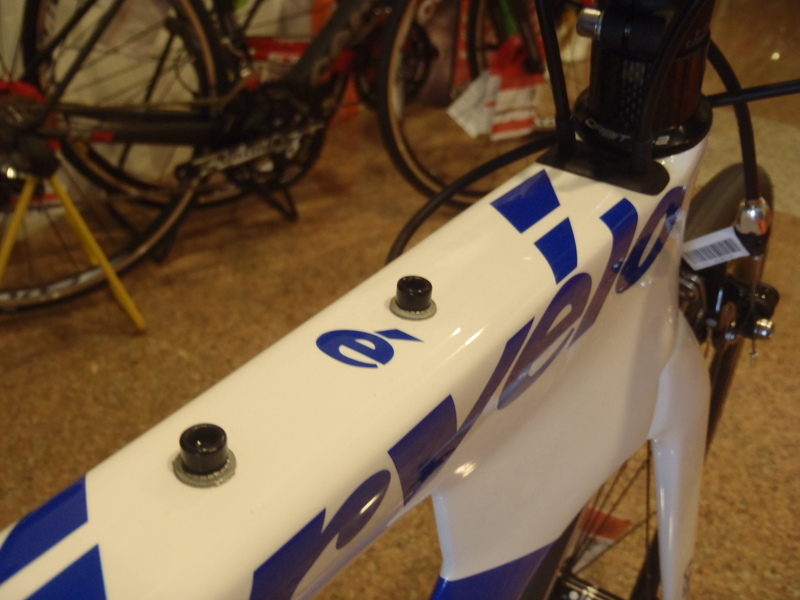 It is designed to take bottle cages, spare tubes, CO2 catridges. 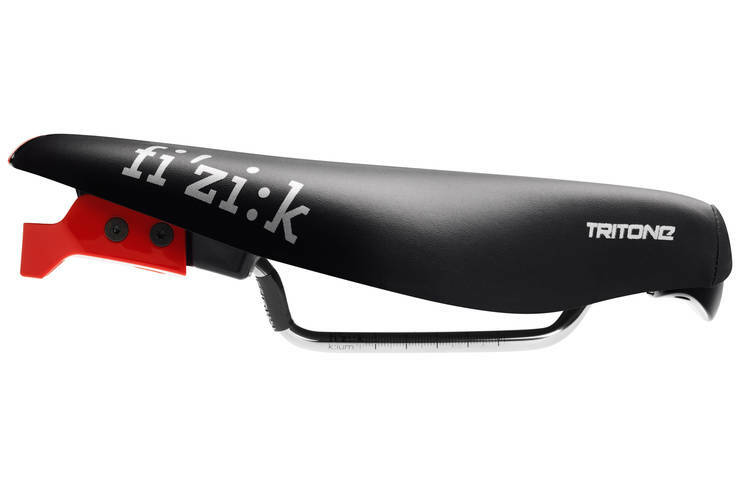 The Fizik Tritone is available in either Red/Black or White/Black, with Kium rails. 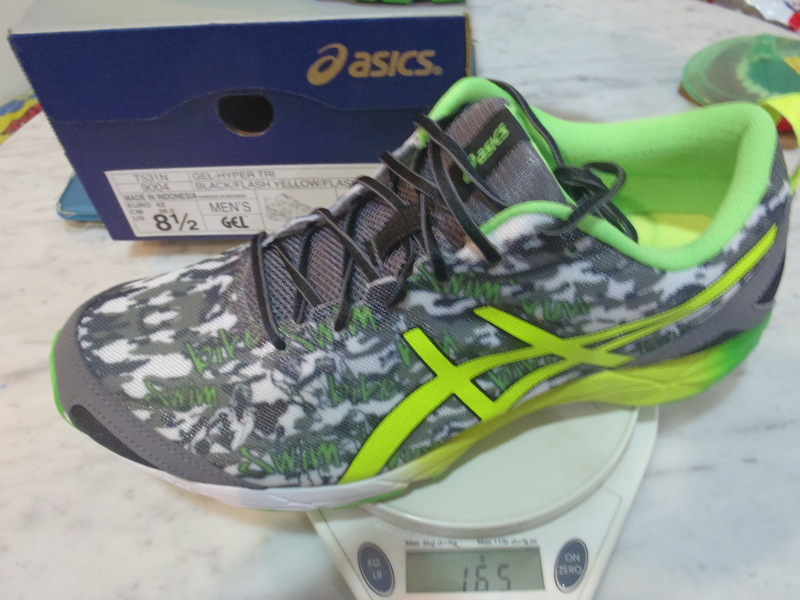 It retails for $245 and will be available from next week! Quantities are limited so if you would like to order the Fizik Tritone, please send an email to info@wemakerunningcool.com with the subject “Fizik Tritone”. Remember to include your contact details! In 2008, Chrissie Wellington won the Ironman World Championships riding a Cervelo P2. Not too bad. The new P2 now features a new geometry, identical to that of the P3. It also boasts most of the wind cheating features of it’s higher end brother. 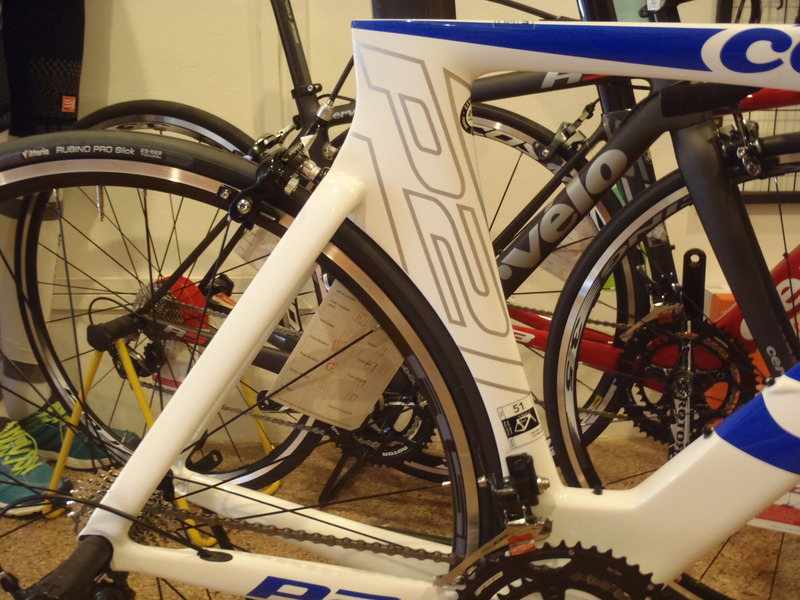 Apart from a slightly less aerodynamic fork, the P2 is a spitting image of the P3. 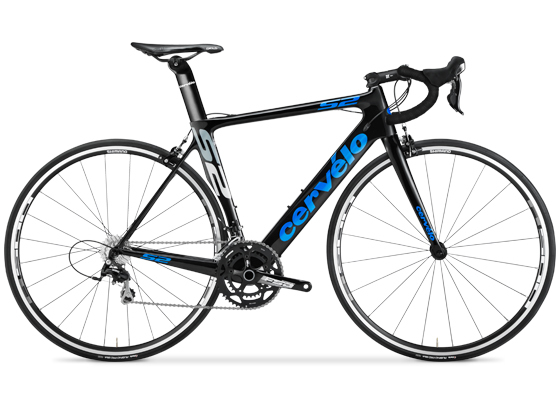 That’s pretty good for an “entry level” model, considering that the P3 is the most successful time trial bike in history. The P2 comes with a Profile Design T2 Wing basebar and T4+ extensions. 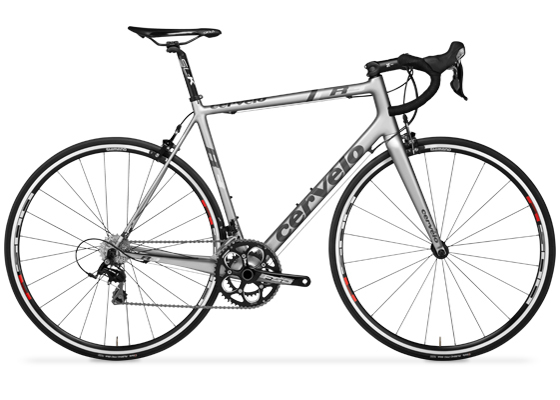 The rest of the bike is spec-ed with Shimano Dura Ace bar end shifters, 105 derailleurs, FSA crank and brakes. 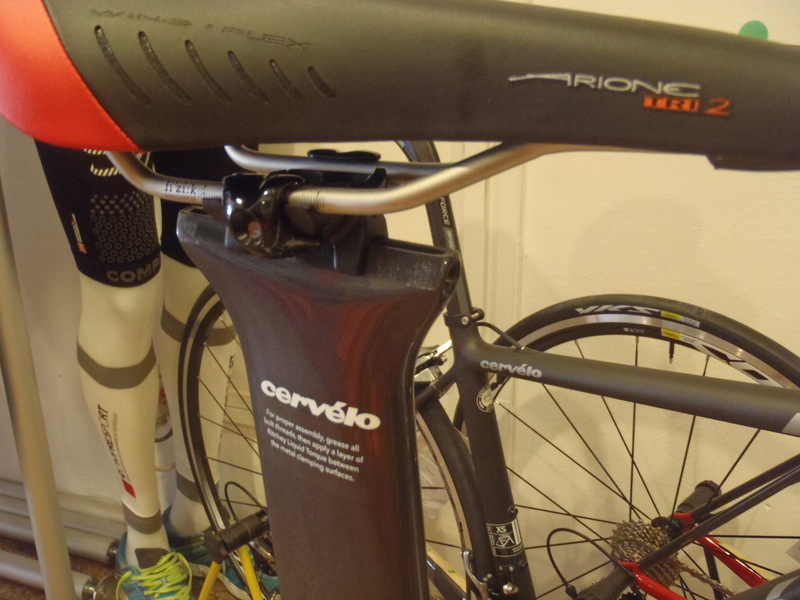 It sits atop a pair of Shimano R500 wheels. 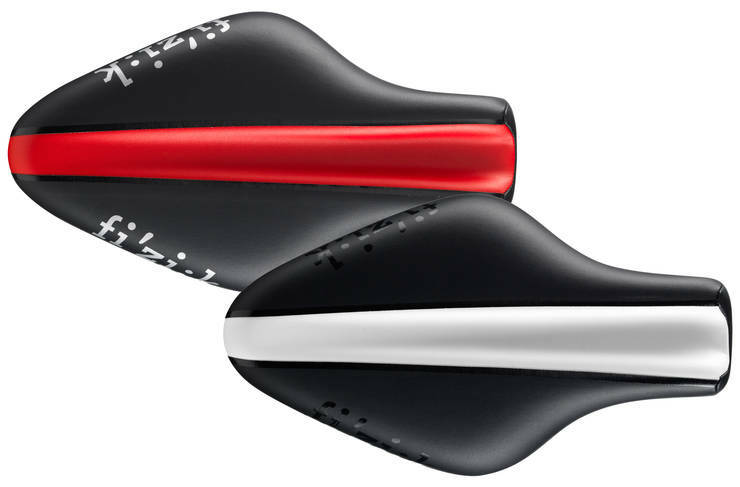 Your rear end will enjoy the plush Fizik Arione Tri 2 saddle. The new P2 uses the single bolt seat clamp and is compatible with bolt on accessories from Xlab. This new version of the bike offers a wider range of fit options (from a size 45cm frame) than before. 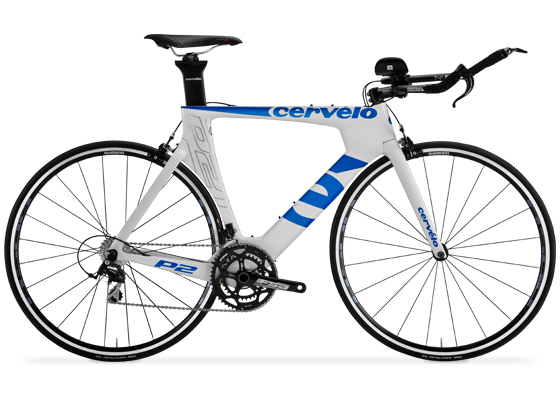 Overall, the P2 is an excellent, race-ready bike that is going to set the standard for entry level triathlon bikes. It’s also going to give competitors’ higher end bikes a real run for their money. For more information, check out this video HERE. 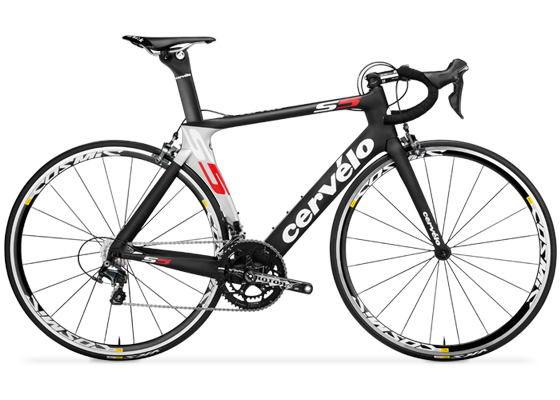 The Cervelo P2 retails for $4050 and is available now. 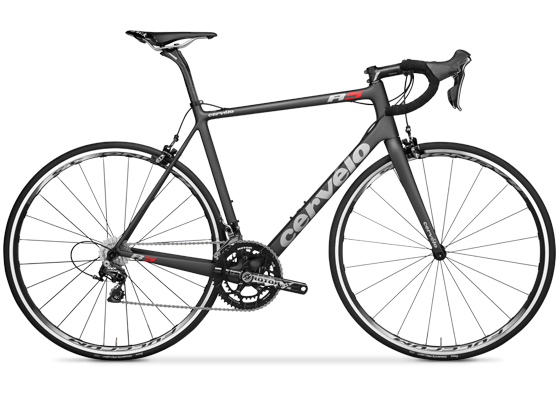 We’re Now a Cervelo Retailer! 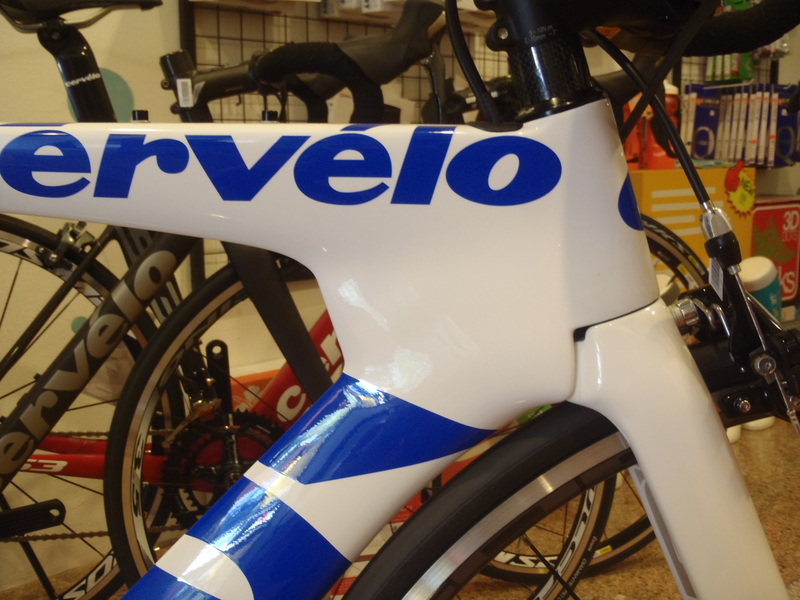 We’ve taken a major step towards our mission to be the number one triathlon/multisport store in all the land by being appointed as an official Cervelo dealer! Ah the weekend! 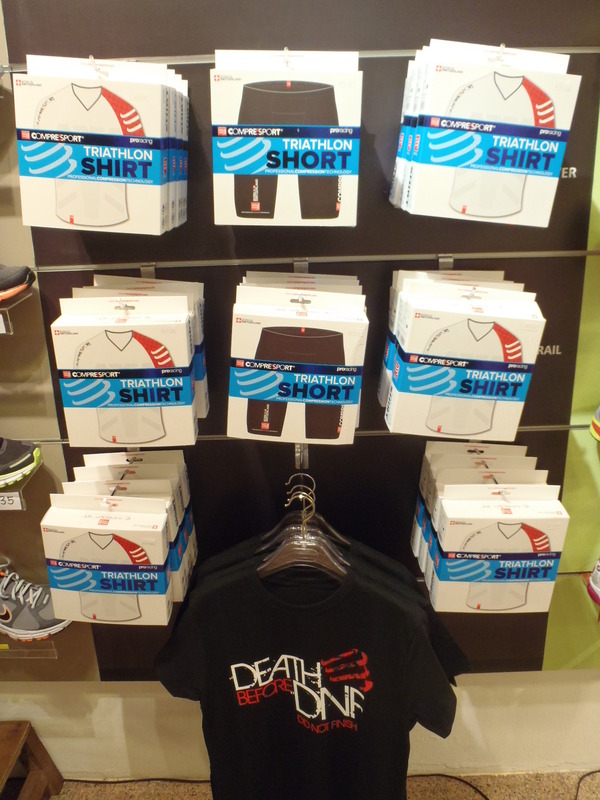 We’ve got some brand new products from COMPRESSPORT, in store and ready to go! The R2 colours just keep getting more eye catching! The latest additions are Purple and Light Blue. 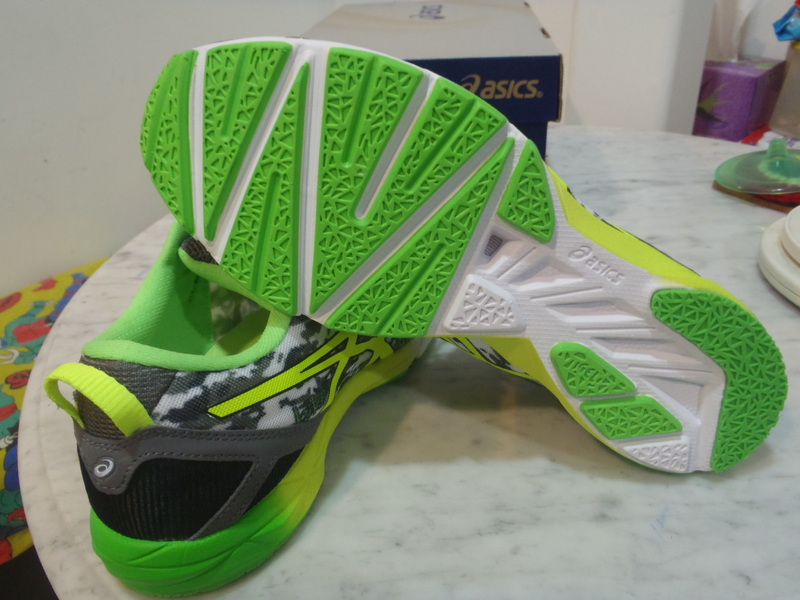 So now you never have to worry about not having the right R2s to match you training and racing attire. 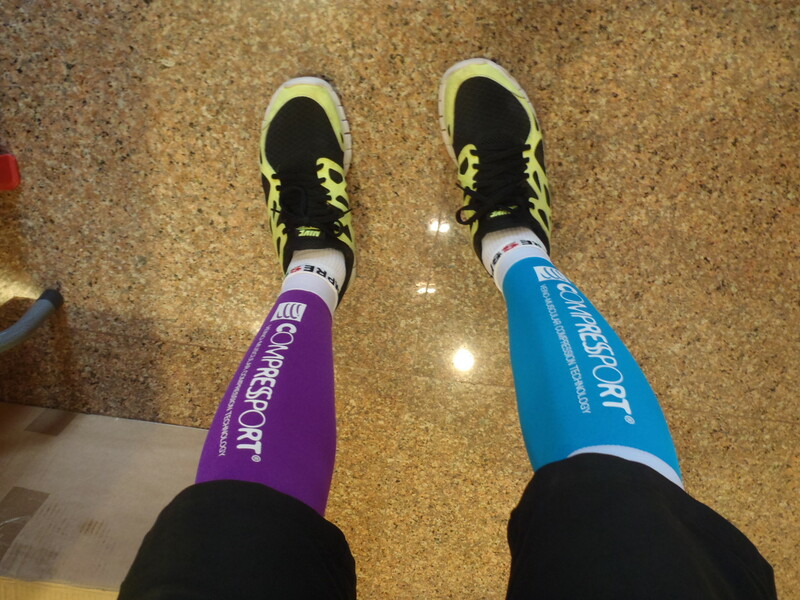 The complete colour range of R2 calf sleeves now comprises of Black, White, Orange, Blue, Fluoro Pink, Fluoro Green, Red, Yellow, Purple and Light Blue. 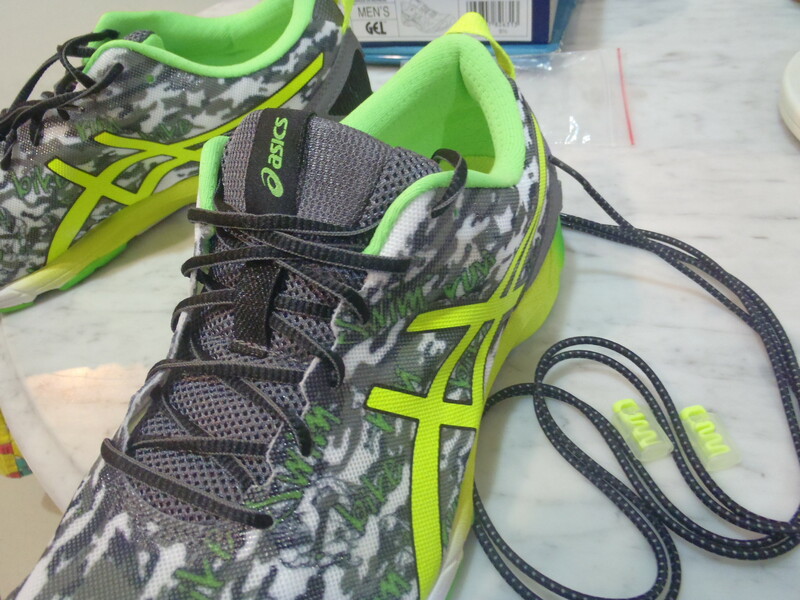 There is race outcome more hated than a “DNF” – Did Not Finish. 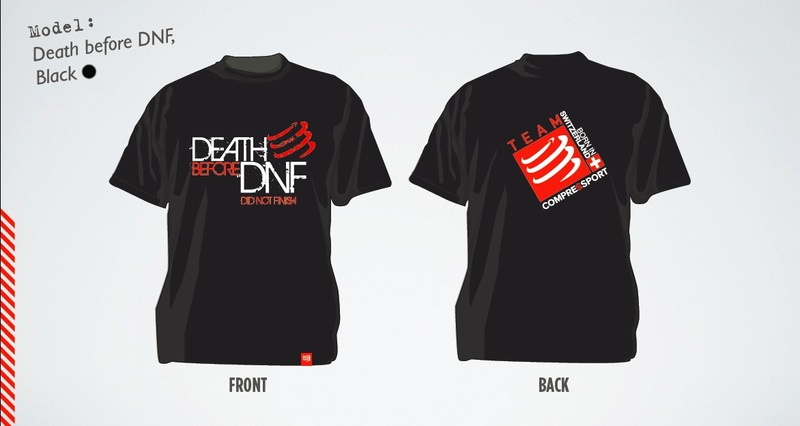 The COMPRESSPORT team certainly agree and have launched a casual T-shirt to say so – Death Before DNF! And for the cyclists, we’ve heard the feedback and come back with a new, improved water bottle that will fit perfectly into your bottle cages! 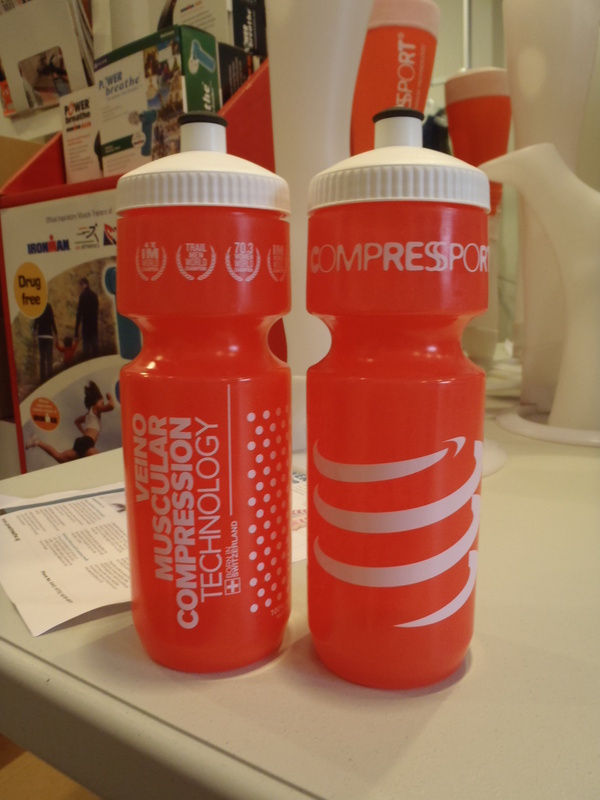 Compress your water. Ok no, they just hold water like regular bottles. 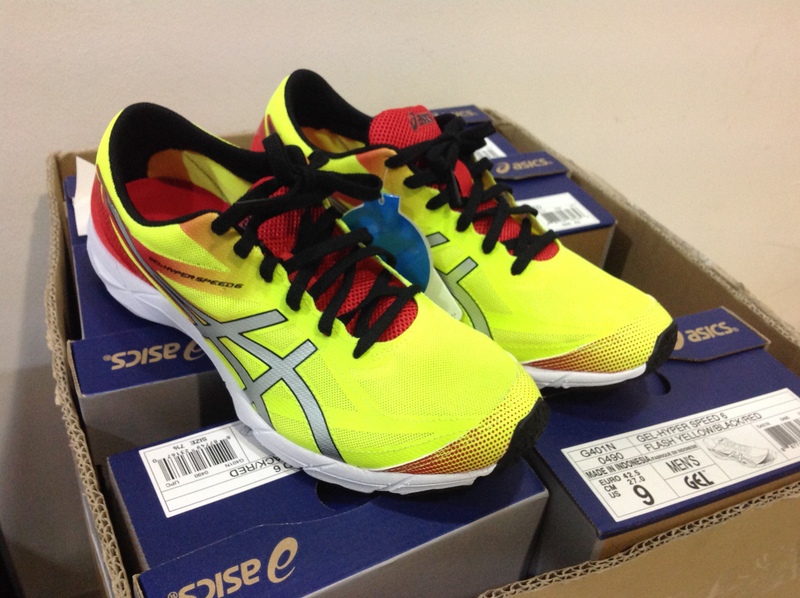 All items are now available at The Runner’s Gait!